M&D Perrins Property Services - Builder based in New Romney, Kent. 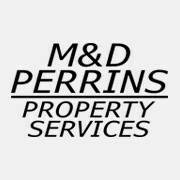 About "M & D Perrins Property Services Ltd"
"M&D Perrins Property Services Ltd" are a local building company based in New Romney, Kent offering a wide variety of services to the local community and further afield, into the Wealden country. We are a family run business established in the year 2000 and pride ourselves on quality workmanship. Customers who are looking for their building works to be carried out by friendly and trust worthy staff, with high standards of finish and daily cleanliness need look no further. Here at "M&D Perrins Property Services Ltd", we understand that having building works carried out either minor or major can be rather stressful for the customer. We pride ourselves on good clear communication and cleanliness of our sites during works, after each day’s practice and at the end of the projects our working areas are cleaned and tidied. Good and frequent communication with our customers works well for us. Keeping the customers’ needs at the top of the list is our goal to ensure a happy and communal working relationship. Whether you need a new bathroom, extension, kitchen, fencing, ground works etc. or simply need a curtain pole putting up we can help you with all that you need. We provide free estimates and fixed price quotations giving in depth detail to the quotation and or estimate. You can view our public liability insurance cover by searching our portfolio page. Find us on Facebook, Checkatrade.com and www.manddpps.co.uk for weekly updates on our latest projects: M&D Perrins Property Services. I am the head of the company. I am responsible for the day to day running of the Buisness. I take care of all the works quotations, schedules work projects. I am your go to guy for all queries. Debbie takes care of the payroll for employees and sub contractors alike. She also keeps our files up to date and tidy in readiness for the monthly trot to the accountants. Ben is my son-in-law and he carries out all work projects in conjunction with the works schedule. He keeps mark up to date on proceedings. Clients can talk with Ben about projects on going and will liaise with Mark the MD on any matters that require his attention. Mark is new to our team joining in march this year. Mark is experienced in general building and is looking forward to new challenges with in his new role.